At the mention of hollies, many people initially think of small to mid-sized shrubs due to their common use in landscape design. But in the holly genus there are hundreds of species, including a large number of trees. The tree-sized hollies range from small ornamentals to towering 50-foot behemoths. To make the best use of a holly tree in your landscape, choose one with the proper size and characteristics for your needs. This fast-growing variety can reach heights of up to 30 feet and widths up to 15 feet. The 'Nellie R. Stevens' holly prefers full sun to part shade and is a great choice for a screen, a backdrop for smaller plantings or a singular specimen. The tree bears ample scarlet-colored fruit and thrives in moist but well-drained soil. This large pyramidal holly tree can easily exceed heights of 30 feet. It bears small but fragrant flowers in spring and has spiny, glossy foliage. The English holly is less hearty than the American holly, but in some areas of the country can be invasive (such as the Pacific northwest). The tree prefers full sun to part shade and moderate moisture, and can fall victim to problems such as powdery mildew, spider mites or whiteflies. 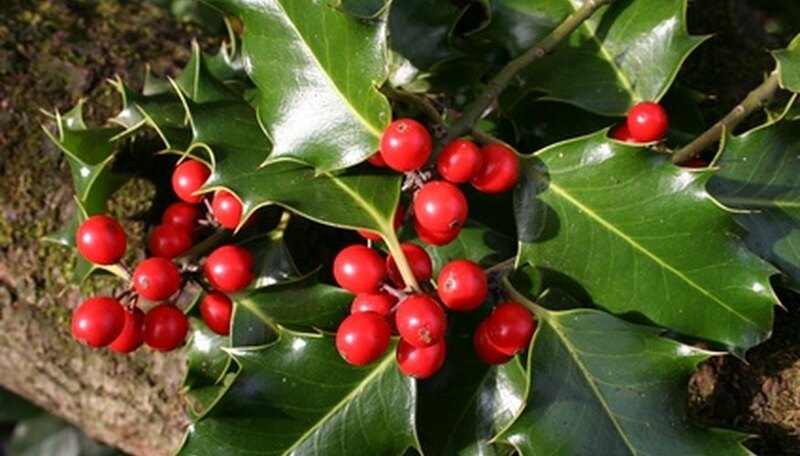 The American holly tree reaches heights of up to 40 to 50 feet and widths of 20 to 40 feet. This large specimen prefers rich, well-drained soil and has dark green, spiny leaves. Green berries appear in late summer and mature to a red shade through fall and winter. American hollies are dioecious, meaning that male and female trees must be planted in close proximity to one another in order for the female plants to produce berries. If a smaller, ornamental tree is what you're after, a Winterberry holly might be a good choice. Growing to a more modest 15-foot average height with a similar spread, the Winterberry attracts birds and produces interesting foliage and berries. While this variety can be adapted to wet conditions, it prefers rich, well-drained soil and full sun. Like the American holly, this species is dioecious.